I've been a bit distant recently as we found out that we've finally got a move date of the 30th. So after 8 months of waiting and waiting and wondering if it would even happen at all, we've exchanged contracts and I've been surrounding myself in boxes and bubblewrap and an air of panic! I'm not going to spend too much time going on and on about the buying process, I know it's dull and no-one wants to hear it, so lets get back to the important things, how we'll decorate the place! 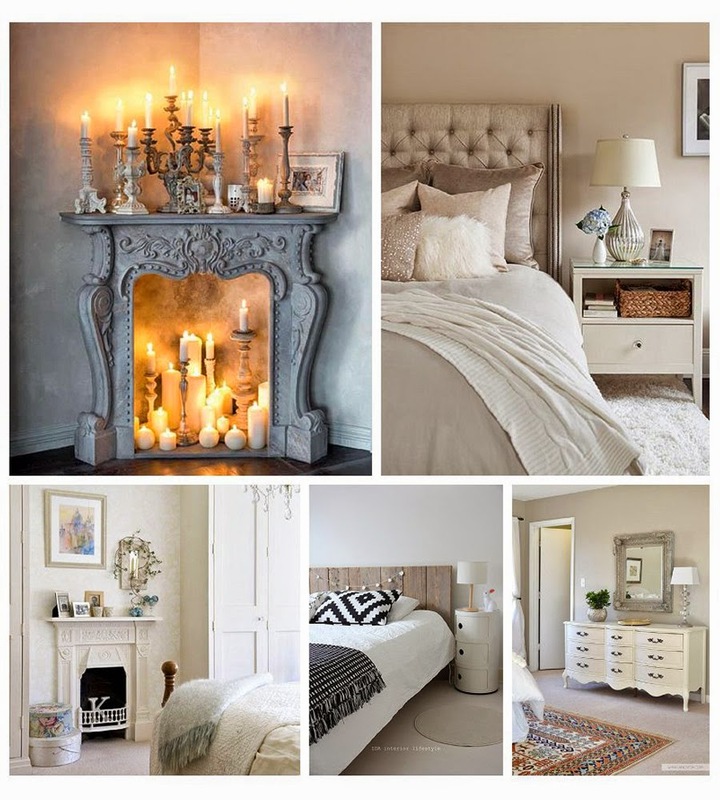 Here are a few of the images that have caught my eye on Pinterest - check out the beautiful fireplaces for one. And the monochrome. And the Compbolini unit. Swooooon. Again, another stunning fireplace arrangement, and I love the neutrals, but doesn't that bright room stand out! Here are a few more with a couple of pops of colour that I love. Even though I think neutral will be where I go, I love the turquoise room below too - and turquoise is totally a neutral colour, right? 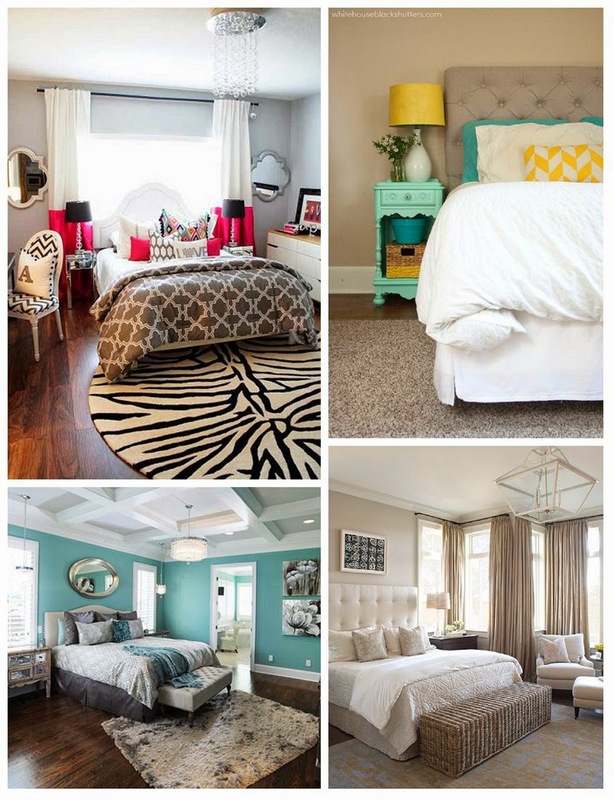 What do you recommend for bedroom decorations? Yes, another person who thinks turquoise is neutral. Love it! I love the idea of a tech free bedroom, Jim however will have different ideas - he'll be trying to jam it full of an much tech as possible! Congrats on the move date - I hope it all finises out well! The house we have an offer on has really small bedrooms (but it make up for it having two huge family rooms) so i'm hunting out ideas for small bedroom revamps, kind hard when we have so much stuff. Always a fan of accent walls though! Our room now is very small, it's only our bed and some drawers in it - we saved space by turning the box room into a dressing room and putting the wardrobe in there. It also means as I get ready agggggges before Jim I don't wake him with my faffing! We'll be in the same boat too at the start of July so if you find some amazing, earth shatteringly awesome way to decorate a whole house between now and then that would be bodacious. 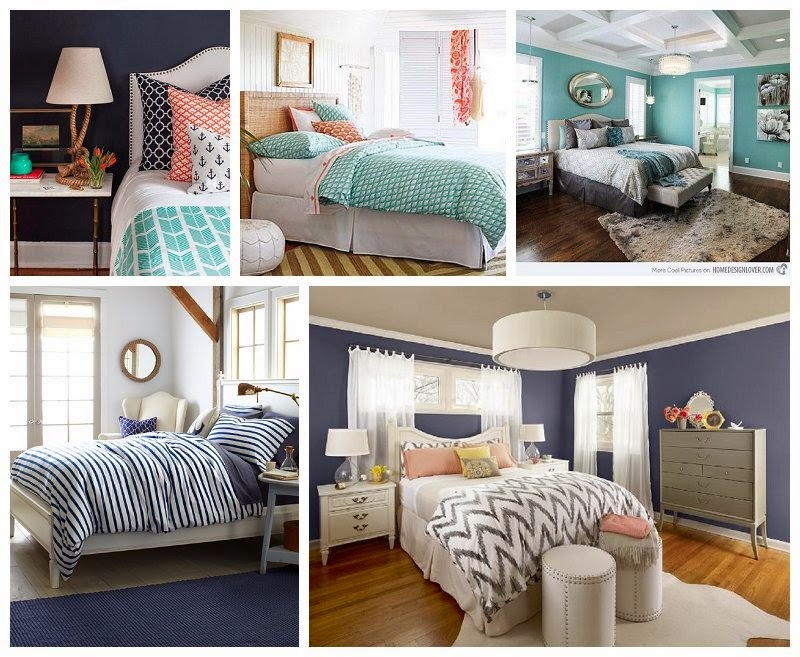 But whilst we're on the topic, no nautical bathroom/bedroom is not too much and yes turquoise is neutral - go nuts! So glad you think turquoise is a neutral too. I kind of want it everywhere but can't decide where to start! I'm hoping I find the money to decorate everything......need to get the roof looked at so a huge bit of our budget will be eaten up there!